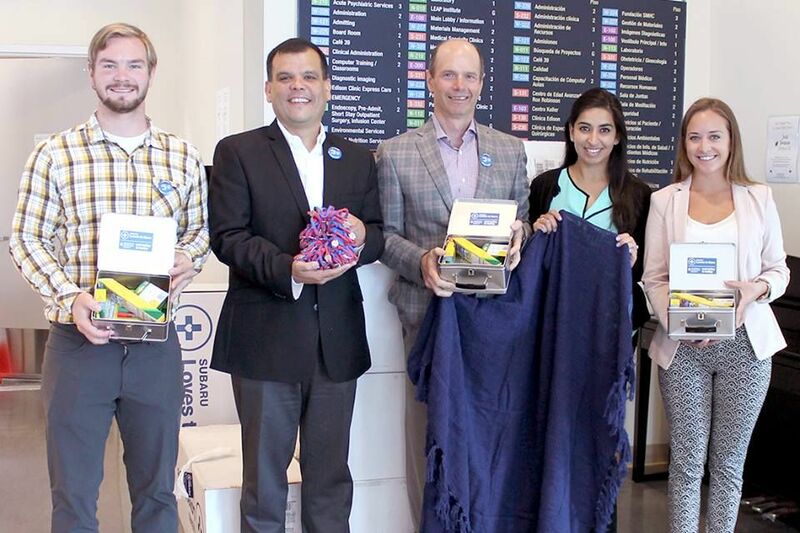 During Subaru’s Loves to Care month in June, Subaru retailers teamed up with LLS to distribute blankets to cancer patients across the community. For the second year in a row, Subaru of America and The Leukemia & Lymphoma Society (LLS) spread love, hope and warmth to cancer patients and their families in communities across the country. During Subaru’s Loves to Care month in June, messages of hope for cancer patients were written by visitors to Subaru retailers. Those who wrote a message of hope at a Subaru retailer also received a bracelet to help spread awareness of LLS and the automaker’s goal to provide hope and care, one gesture at a time. The Premier Subaru of Fremont, Carlsen Subaru, and Serramonte Subaru teamed up to increase their impact and distribute 200+ blankets to El Camino Hospital on the same day. Those messages, along with blankets, were delivered to El Camino Hospital, to help keep patients warm as they continue their fight against cancer, and to help spread awareness of LLS and Subaru of America’s goal to provide hope and care, one gesture at a time. This initiative with Subaru is the perfect partnership. Through LLS’s network of 56 chapters and Subaru’s presence in communities across the country, together, they are reaching and supporting even more patients, families and caregivers in their time of need. As the largest voluntary cancer health agency specifically focused on finding cures and treatments for blood cancer patients, LLS supports hundreds of cancer scientists and research projects around the world. But the fight against blood cancers cannot be won without supporters such as Subaru and their customers. Every voice, every action, every contribution is needed and valued. LLS Silicon Valley Monterey Bay Area chapter also teamed up with Stevens Creek Subaru, Capitol Subaru, Cypress Coast Subaru, Subaru of Santa Cruz, and Putnam Subaru to distribute blankets and craft kits to hospitals in the community.